Stella Katsari is a clinical psychologist in private practice and she mainly deals with anxiety, trauma and interpersonal issues for adolescents and adults. She contributed to the teaching of Medical Students at the St Georges University of London from 2012-2016. 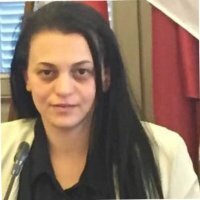 She is also leading the division of Clinical Psychology and Health Psychology of Cyprus Association of Psychologists. She has worked with refugees and asylum seekers as a practitioner but as well in the administration, management and delivery of social and psychological services, social inclusion and research. Her research interests lie in the area of Clinical Psychology, Community Psychology, social Policy, psychological influence on socially excluded groups, Loss and Trauma, Asylum and Migration.